Big things happening all week! It's been one of the busiest weeks of my life so far with an entire game being made, lessons learned, research done, and connections made. Nothing happened for Unicorn Quest other than a tweaked idea for combat, but a lot of things happened for Yotes Games as a whole. Today I'm attending my college's open house to help inspire freshman and convince parents that game development is in fact a legitimate job. I also had a change of plans and won't be attending summer school like I intended which may lead to Unicorn Quest having an early release. 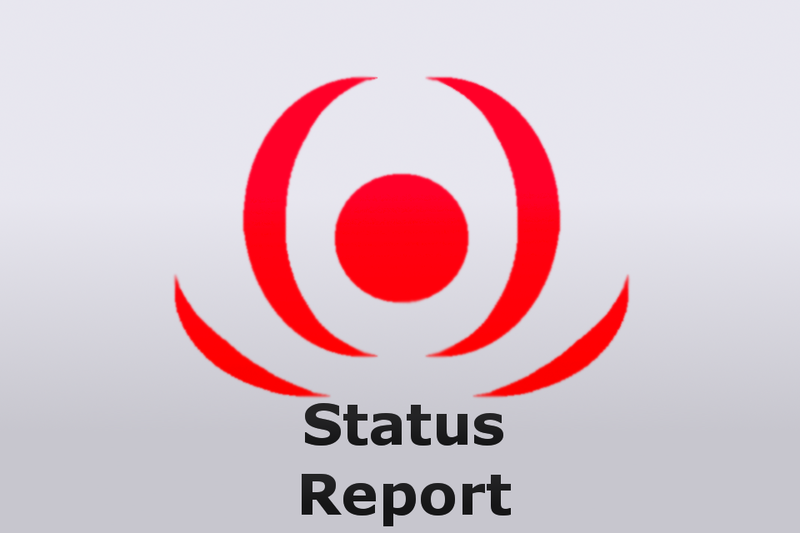 Check out the Status Report below! I'll post about what I learned from my 2 day game challenge and how it affected Unicorn Quest later. Today I'm focused on making good impressions and meeting potential best friends & development partners at the Gaming & Simulation open house. It'll be a great experience and I'm excited to find out how it will affect me. Even more exciting is the potential to meet someone with a drive similar to mine or even igniting someone else's drive. I get warm fuzzies when I'm in my gaming classroom and students are talking about their projects, their plans, and how pointless classes are compared to making games on their own. As for my summer plans, the reason I was going to summer school at a community college to save my parents money in the long term by skipping the fall semester. Those plans fell apart on Thursday when I registered for classes and checked the price. It turns out the first payment was due on March 25th and the second is due April 14th. The total price also increased by $1000 since last year. We're still paying tuition for this semester so there's no way we could have afforded it. This was supposed to save money and it clearly wasn't going to, so the plan was dropped. That leaves me without a Fall 2014 schedule, no roommates for next year, and no adviser to talk to because the very next morning was the deadline for registration meetings. Since December my family planned on this summer school thing and it fell apart at the worst possible time. Luckily my adviser (and Gaming & Simulation professor) is very understanding and met with me outside her office hours to set me straight. My new schedule is void of gaming classes in fall but I can't make myself care anymore. Even gaming classes seem tedious because I'd rather work on my own projects, but at least the atmosphere in the gaming lab is blissful. It'll be interesting to see if Feed The Plant catches on as surpasses Candy Shop Catch before the summer. I checked the app store and I'm hoping that my plant & theme catches on with random app store browsers. Since it's still new and not fully in the database I won't appear via searching unless you spell out the full name. Uploading to Samsung was a pain. The website were you upload apps (Samsung Seller Office) is really buggy. I had to retype everything there three times because the "next" button would crash the tab. It also gave me so much trouble trying to log in I had to create a separate account and try again. If Feed The Plant goes through I'll try uploading DragCore to Samsung too. I tried building a web version of Feed The Plant so people could play it here and link to it, but the file doesn't play correctly in the browsers I'm trying and it's not worth the effort of dedicating a week to getting the game working everywhere online. It was a fun side project and watching it grow steadily will keep me entertained while I'm making Unicorn Quest. It's always good to have another game to my name. I'm actually surprised at how mesmerized I get when playing my own games now. I can take out my phone and spend an hour just switching between my games and plying them now. It feels kind of surreal since I'm the one who created them. It's hard to take of the developer goggles for most of my games, but Feed The Plant seems to be an exception. Candy Shop Catch had a similar premise but isn't anywhere near as addicting as Feed The Plant. I can just stare at that game, hitting the retry button over and over trying to get those birds through for many minutes at a time. It's a cool feeling and I want as many people I can find to try it out, but I also can't see it being any more popular than Candy Shop Catch. I need to finish Unicorn Quest so I can finally earn some money for my work.